The Next Chapter columnist takes a look at albums inspired by books and explores the connections between literature and music. In her life as a musician, Treasa Levasseur has spent lots of time on the road performing across the country. That's one way she's seen Canada, but she also seeks out books that feature those cities and towns in fictional form. Levasseur talks to Shelagh Rogers about author Guy Vanderhaeghe's Saskatoon-set story collection Man Descending and compares it to Justin Rutledge's album of the same name. 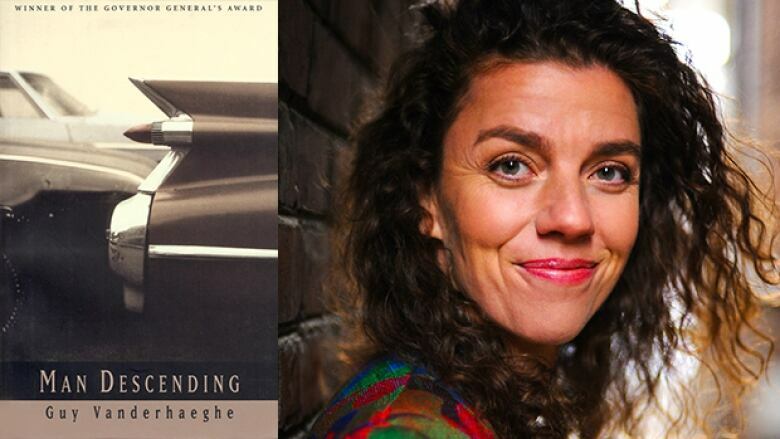 "I've read a couple of other books from Vanderhaeghe over the years but not this one. I don't tend to read short stories as a go-to type of literature. I enjoyed Man Descending — enjoyed is not the right word. I consumed this book lustily, but it was a difficult book. It's so dark as it's story after story of different broken men. That's the whole book. "They're all set in Saskatchewan... it's all dusty prairie plains. There's a lot of wide open space to contemplate the great questions. Men lose their jobs, their wives, their health and their minds. Honestly, man is descending pretty rapidly and without a parachute in this book. But it's so beautifully executed and the voices of each of the narrators are so unique that you fall into this sort of trance with these these men you can't stop watching and reading." "The album Man Descending by Toronto-based alternative country singer-songwriter Justin Rutledge is so watery, fluid and feminine. There's even the song on the album where Rutledge talks about being afraid to be alone — and then the female vocal on the track reminds him that we are all alone. "Fundamentally I think that the album is rooted in a desire for togetherness — whereas in the book, all of these broken male characters truly are on their own solitary journey due to circumstances"
Treasa Levasseur's comments have been edited for length and clarity.